CBD, or cannabidiol, is one of over eighty cannabinoids found in the cannabis plant. Cannabidiol supplements and some strains of cannabis deliver a host of potential health benefits. It is a popular treatment for anxiety, cancer and cancer symptoms, chronic pain and more. CBD may be useful for men and women of all ages. When recommended by a doctor, they may be useful for treating a range of conditions in children as well. It may also be beneficial for managing a range of conditions in our pets, too. Cannabidiol is extracted from the cannabis plant and used to make specialized products. These products are a popular way to reap the potential benefits of CBD. Cannabidiol can also be ingested by smoking or vaporizing cannabis products. You can buy hemp CBD online in a wide variety of products. Most people will be able to find a product that suits their dietary needs and lifestyle. CBD hemp oil and CBD oil are the most common forms of CBD cannabinoid products. You can also buy it in other forms, like vape oil, topicals, and a variety of edibles. At Save On Cannabis, we offer verified CBD coupons to help you get the best deals on cannabidiol products. We work with many brands to provide you with the lowest prices on all your favorite cannabis brands and products. The reason CBD may be so beneficial to our health is due to its connection to the endocannabinoid system. The endocannabinoid system (ECS) is composed of tiny endocannabinoid receptors throughout the body. You will find these receptors in the tissue of our major organs, glands, and immune cells. The cannabinoids in the cannabis plant are similar to the cannabinoids found in our body. Endocannabinoid receptors are able to bind with the cannabinoids found in cannabidiol. This enables CBD products to quickly take effect within the body. The ECS is a major system that directly impacts health. This system handles many processes, but one of its main goals is to maintain homeostasis. This regulation is vital to helping the body fight off infections and heal. The ECS also plays a part in the sebum production in our skin, which impacts many skin conditions. These endocannabinoids also control some of the communication between cells. At the site of an injury, the ECS handles communicating signals of inflammation and pain to the brain. Though are many cannabinoids found in the cannabis plant (144 found to date! ), the two most popular are CBD and THC. THC (tetrahydrocannabinol) produces the psychoactive effects associated with many cannabis products. Unlike THC, cannabidiol has no psychoactive effects. Most CBD products do contain some level of THC. There are many products available with only trace amounts of THC (0.03% or lower) that do not affect state of mind. THC has its own range of potential benefits and may be useful alone or when combined with CBD. Some studies have shown that CBD and THC have a synergistic effect. They may boost each others effects or balance each other out in some ways. Cannabidiol may help reduce the anxious feeling often associated with THC. Each strain of cannabis has its own THC and CBD rating. Some strains of cannabis have balanced ratios, which makes them excellent for experiencing these synergistic effects. Neurological Disorders: There are studies suggesting that CBD is effective for treating neurological disorders. Cannabidiol may help reduce inflammation associated with neurodegenerative diseases. It may reduce symptoms associated with Alzheimer's disease and Parkinson’s disease. Psychological Disorders: Evidence suggests that CBD is helpful in treating some forms of mental illness. Many people have reported a reduction in symptoms of anxiety, depression, bipolar disorder, and other psychological disorders when regularly taking CBD supplements. Physical Pain: Other evidence suggests cannabidiol may help treat physical disorders and pain. associated with inflammation in the muscles. Cannabidiol may also reduce pain associated with serious injuries or multiple sclerosis. Cancer: Some studies show cannabidiol as an effective treatment for cancer. Some studies suggest that it can affect the reproduction of cancer cells. Even more evidence may point towards cannabidiol for reducing the side effects of cancer treatments. It may help reduce the nausea, fatigue, and discomfort from chemotherapy and other cancer medications. Skin Conditions: CBD has an effect on the oil produced by the skin, which may make it useful for treating common skin conditions. It may help manage symptoms of eczema, psoriasis, and even acne. It can also reduce inflammation, minimizing the appearance of many skin rashes and blemishes. Each condition is treated differently when using CBD as a supplement. Some conditions respond better to certain types of supplements. Eczema may respond well to topicals while anxiety may be better treated with an oral dose. Although more research is necessary to provide a full list of potential side effects, no studies are linked to serious, long term side effects. One study looked at the effects of large doses of CBD and concluded that it was non-toxic and well-tolerated by most patients. Some research shows that CBD may be used in place of some prescription medications. Always talk to your doctor before discontinuing any medications. Consult your doctor when deciding what type of product and dosage is best for you. CBD Tinctures: A tincture is a concentrated, liquid form of CBD. Tinctures usually distributed “sublingually,” or under the tongue, in small drops. The concentrated nature makes it easy to micromanage the dose. This may make tinctures better for beginner cannabidiol users since you can start with low doses and build up to find the correct dose for you. CBD Vape Oil: Vape oil is a form of cannabidiol specifically designed to be used for vaping. This method is similar to smoking, except that it produces a vapor when heated. Vape oils often have other ingredients to add flavor and come in different concentrations so that you can control the dose. CBD Isolate: This is the purest form of cannabidiol available. Isolate is a concentrated powder that often contains around 99% CBD. Isolate can be mixed into food and beverages, added to vape juice, or combined with your other favorite cannabis products. CBD Pills and Capsules: Capsules and pills are also a convenient way to reap the potential benefits of cannabidiol. These pills contain specific doses, which is great for those who take the same dose every day. Some people prefer taking capsules to the “hempy” flavor of tinctures. CBD Edibles: Edibles are a popular way to ingest cannabidiol. This may be a great solution for elderly patients or children since edibles can be incorporated into regular meals. Edibles do take longer to take effect than some of the more direct options. CBD Topicals: Topicals and salves target skin conditions and muscle pain. Topicals are sometimes mixed with other ingredients, like essential oils, to give them a pleasant smell. These additives may also help boost the effects of topicals. Save On Cannabis partners with cannabidiol brands to guarantee that coupon codes will work when you checkout at their site. We guarantee that all CBD coupons that show a Save On Cannabis Verified badge will work to provide the savings listed. We are happy to be able to guarantee you savings on the best cannabis brands available online. 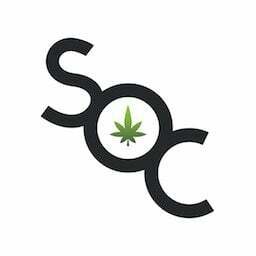 Make sure to browse the rest of our site to find other awesome cannabis coupon codes and spread the word to your friends so they too can save. There are new products everyday, so be sure to stop by regularly to see new listings and updated verified CBD coupons.